Time: 9:45 a.m. - 5:00 p.m. 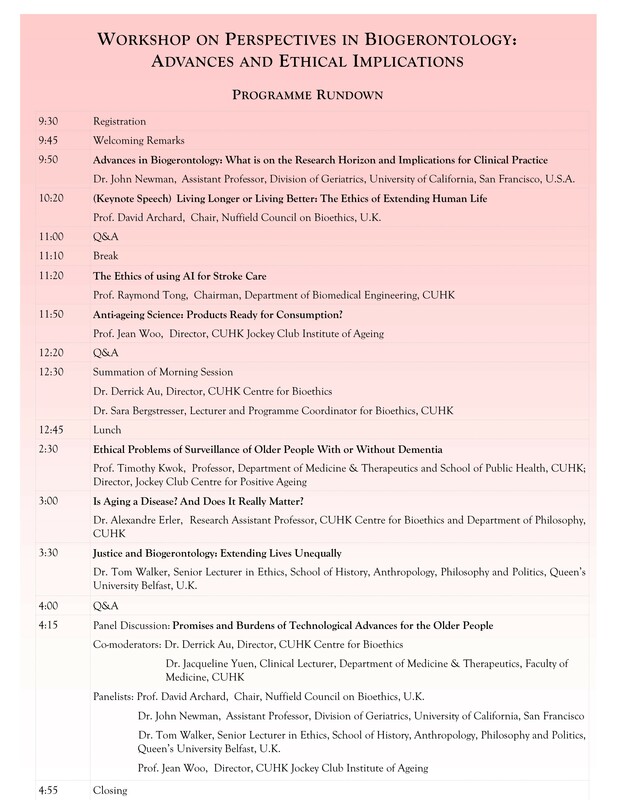 Presentation slides by Dr. John Newman - "Advances in Biogerontology: Clinical Promise and Ethical Pitfalls"
Handout by Prof. David Archard - "Living Longer or Living Better: The Ethics of Extending Human Life"
Presentation slides by Prof. Raymond Tong - "The Ethics of using AI for Stroke Care"
Presentation slides by Prof. Jean Woo - "Anti-ageing Science: Products Ready for Consumption?" 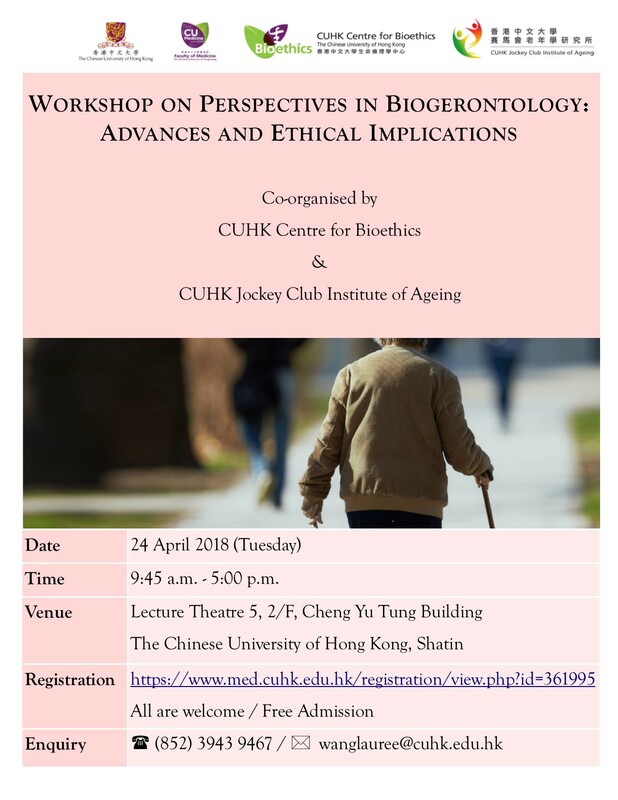 Presentation slides by Prof. Timothy Kwok - "Ethical Problems of Surveillance in Older people With or Without Dementia"
Presentation slides by Dr. Alexandre Erler - "Is Aging a Disease? And Does It Really Matter?" Presentation slides by Dr. Tom Walker - "Justice and Biogerontology: Extending Lives Unequally"